Bailey Williams is eyeing a regular spot in the Bulldogs’ line-up this season. 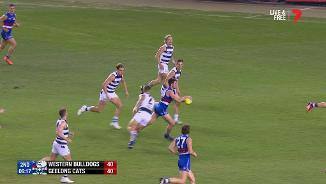 westernbulldogs.com.au reviews Bailey Williams' 2017 season. 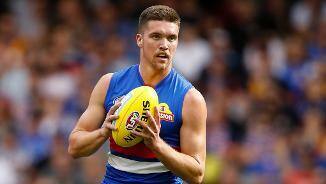 Bulldogs defender Bailey Williams has signed a contract extension with the Club. Taken with pick 48 overall, Bailey Williams is a utility with elite agility who can win the ball in close, and makes excellent decisions. Ultra competitive, with a strong desire to tackle, Williams showed he can be a high production midfielder, highlighted by a 56 disposal game against Woodville-West Torrens in the SANFL. Williams debuted for the Bulldogs in round eight of the 2016 Toyota AFL Premiership Season, collecting 14 disposals in the Dogs' 32-point win over Melbourne at the MCG. 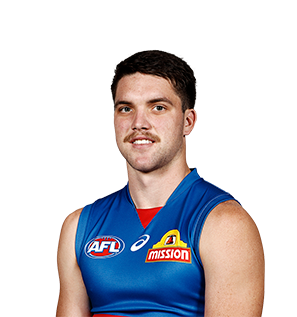 Playing mostly across half-back, 20-year-old South Australian Bailey Williams added a further 12 games to his career tally (18) in his second season at the kennel. Williams had career highs in disposals (23 against Richmond, round 7), rebound 50s (6 against Port Adelaide, round 22) and tackles (4 against Hawthorn, round 23). 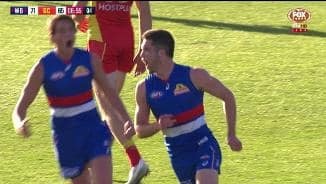 Williams was offered a two-year contract extension in March, keeping him at the Bulldogs until the end of 2019. He averaged 16 disposals, 4 marks and two tackles for the year. Bailey Williams even exceeded his own expectations in his first year at the Bulldogs. Taken with pick 48 in the 2015 NAB AFL Draft, the 19-year-old South Australian impressed early with his poise, ball use, agility and appetite for the contest. By round eight, Williams had made his debut against the Melbourne at the MCG, picking up 14 touches in his side’s 32-point win. Played six senior games in total for the season and averaged 16 disposals and three marks per contest off of half back. Was also a member of Footscray’s premiership winning team. His 16 disposals came at an average of almost 80% efficiency. “I debuted earlier than I thought I would, I didn’t expect to get many opportunities to play this year but to get six games, beside the hiccup, I had a meniscus injury, but besides that it’s been an exciting year. “To be able to win a premiership in my first year, it’s not too bad either.